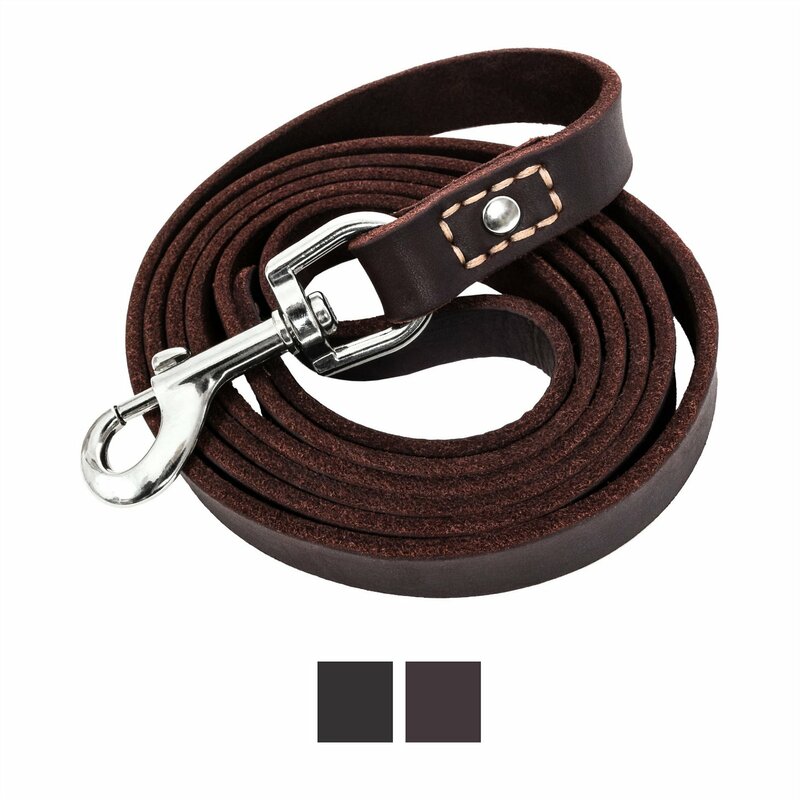 Walk your adventurous pup in style, comfort and safety with the Leatherberg Leather Dog Leash. Leather has always been a superior material for leashes, so rather than reinventing the wheel, Leatherberg has simply modernized it for today’s pet owners. 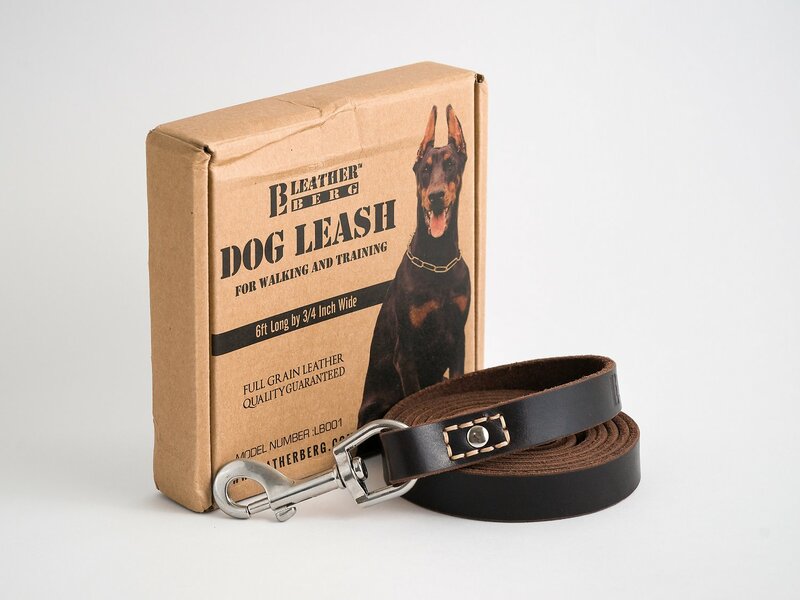 Crafted by skilled leatherworkers using 100% real latigo leather, this premium quality leash combines reliability, functionality and durability with just the right amount of stretch and pull to deliver ideal comfort for you while keeping your precious pooch safe and secure. The heavy-duty stainless steel clasp and riveted ends provide additional durability and security for years of exceptional service. 100% real latigo leather is strong and supple with just the right amount of stretch and pull to absorb unexpected lunges. Soft, stylish finish is comfortable in your hand to help manage your precocious pooch without chafing your palm. Durable design features double-stitching and metal rivets on both ends for exceptional strength and reliability. 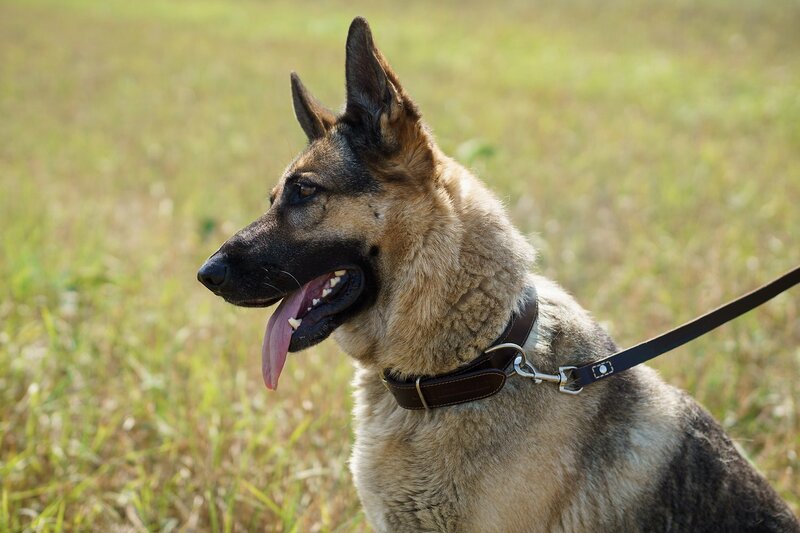 Heavy-duty stainless steel clasp includes a swiveling pivot to prevent the leash from getting twisted or tangled. 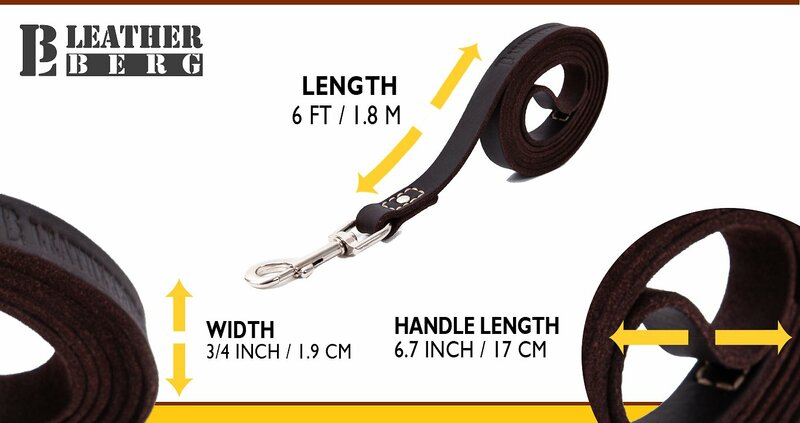 6 ft. leash is 3/4 inch wide and is available in black or brown; every Leatherberg leash must pass a 100% quality control inspection to ensure it meets their high standards. Clean with a soft damp cloth and hang dry if wet. 6 ft. leash is 3/4 inch wide. Really nice quality. Well made. Feel securing in hooking up the puppy to this leash. This leather leash is better than expected. Leash is soft and supple. Arrived ready to use out of the package, no conditioning necessary. Also, the clasp feels sturdy. My 55 pound puppy pulls when being lead and this leash feels nice in your hands. For a dog over 40lbs this would be a great leash. It's well made. I'd give it 5 stars for large dogs. For smaller dogs the leash clip is very heavy and large- almost comically so in-person. I wish they made it with a smaller clip. I'd give it one star for small dogs. This is great leash and was reasonably priced. Hudson, my Golden Retriever, likes his new leash. Great quality! I even ordered another one. Good sturdy feel! Love it.Nice soft leather well made.Thanks for selling quality items. Very dark brown. Was covered in mold. Thankfully chewy is awesome and refunded the cost. I will not recommend this leash but chewy is awesome! We needed a lead that was heavy-duty and more durable than nylon. Although nylon is strong, our Rottie is stronger! The attachment is well made and we expect to have this one for a while. Looks good too. Bought 2 at the same time. One has already ripped apart. Now on my second one that I purchased same time. One month ago. Hoping that last longer. My dog is a 50 lb. lab mix. She doesn’t pull on leash a lot.